We are committed to being a trustworthy partner in your job search. You can visit PennApartmentStaffing.Com as often as you want without telling us who you are or revealing any personal information about yourself. For our electronic newsletter, you may provide your name and email address, if you wish to receive it. We use this information to send the Penn Apartment Staffing newsletter and other related job search and career information. You may unsubscribe or opt-out of receiving future mailings; see the Choice/Opt-Out section below. The Site gives users the following options for removing their information from our database to not receive future communications or to no longer receive our service. Simply click on the “unsubscribe” link at the bottom of a mailing. 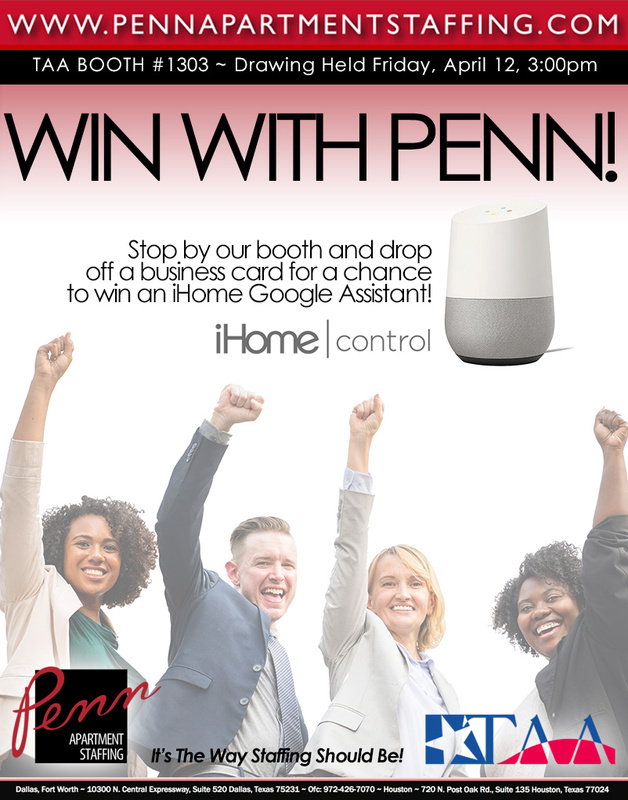 You may also send email to Support@PennApartmentStaffing.Com (you will have to clear yourself through our spam filter). More contact information is at the bottom of this page. We use IP addresses to analyze trends, administer the site, track user movements from page to page to understand what our visitors like and don’t like, and gather broad demographic information for aggregate use (e.g. browser used, monitor resolution, etc.). IP addresses are not linked to personally identifiable information. Google’s use of the DoubleClick cookie enables it and its partners to serve ads based on their visit to Penn Apartment Staffing and/or other sites on the Internet. This privacy statement applies solely to PennApartmentStaffing.Com. We encourage our users to be aware when they leave our site and to read the privacy statements of each and every web site that collects personally identifiable information. PennApartmentStaffing.Com is not responsible for the privacy practices or the content of such Web sites. Before adding those sites to Penn Apartment Staffing’s categorized lists of links, each site is evaluated to see if they protect the privacy of their visitors and, particularly, their job applicants. We do not knowingly add sites that treat applicant information casually. However, a site may change its policies and practices after being added to Penn Apartment Staffing. Provide supportive services to the Site (see Third Parties, below) or to Penn Solutions, Inc. Agents of the Site may provide supportive services, such as e-mail list management services for Penn Apartment Staffing’s newsletter, hosting for the Site, etc. However, these third parties are not allowed to use any information disclosed to them for any purpose other than the support of the Site. When you access the Site, we or our third party partners and advertisers may send one or more cookies to your computer. A “cookie” is a piece of data stored on the visitor’s hard drive containing information about the visitor. In some circumstances, we use “cookies” to test visitor reactions to some particular aspect of the Site or to track the number of visitors for our advertisers. Our cookies do not collect any personally identifiable information. You can usually modify the security setting of your browser to block or to accept cookies or show an alert when a cookie is being sent. Please be informed that some features of the Site may not function properly if cookies are refused. Check your browser’s Help function for more information.